NextWas My Insomnia Due to Lack of Light? The transition to menopause begins 4 to 6 years before menstruation stops (the median age for menopause is 51 years). It’s a time of fluctuating reproductive hormone levels. Not all women suffer ill effects during this period but many do. Sleep problems are one of the most common complaints, reported by up to 56% of women approaching menopause, say authors of the review, published in the journal Nature and Science of Sleep. In turn, trouble sleeping often compromises midlife women’s quality of life, mood and productivity. There’s an uptick in sleep-disordered breathing (sleep apnea) among women transitioning to menopause. There’s also an uptick in insomnia. A study involving 982 perimenopausal women interviewed by phone found that 26% had symptoms qualifying them for a diagnosis of insomnia disorder as medically defined. Fluctuating levels of hormones—follicle-stimulating hormone, estradiol (an estrogen) and progesterone—likely play a role in insomnia that occurs during the menopausal transition. Hot flashes, too, which typically emerge as estrogen levels decline, are associated with poorer reported sleep quality and chronic insomnia. were more likely to have hot flashes, which predicted their number of awakenings per hour of sleep. Symptoms of depression typically increase during the menopausal transition. Depression and insomnia are closely linked, with depression sometimes preceding insomnia and insomnia sometimes leading to depression. The results of one interesting study suggest that trouble falling asleep at the beginning of the night is associated with anxiety while nonrestorative sleep is linked to depression. Chronic exposure to stress could be another factor in midlife women’s greater susceptibility to insomnia. And during the transition to menopause, traits associated with insomnia—increased tendency toward rumination, anxiety, generalized hyperarousal, stress reactivity, and neuroticism—are similar to tendencies predictive of hot flashes and other perimenopausal symptoms. Since insomnia in the menopausal transition is likely due to many factors, it’s challenging to treat. 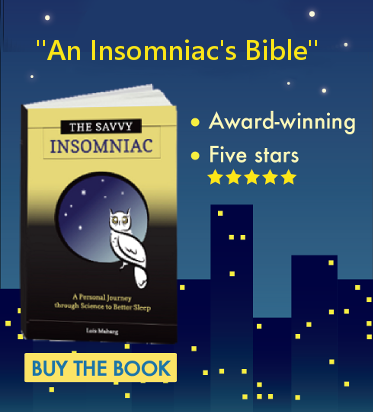 The reviewers recommend “flexible and individualized” treatments for insomnia depending on each woman’s current symptoms and history. Hormone therapy generally improves sleep quality in women who experience hot flashes during the transition. It may be a good option if, based on a woman’s history and health concerns, the overall potential benefits outweigh the risks. The reviewers note that abrupt discontinuation of hormone therapy is associated with hot flash relapse, which could in turn lead to insomnia. Low-dose selective serotonin reuptake inhibitors—such as citalopram (Celexa) and escitalopram (Lexapro)—and low-dose serotonin norepinephrine reuptake inhibitors—such as duloxetine (Cymbalta) and venlafaxine (Effexor XR). Note that discontinuation of SSRIs is associated with hot flash relapse, which could lead to insomnia. Gabapentin, shown to improve sleep quality in perimenopausal women with hot flashes and insomnia. 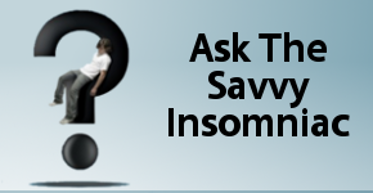 Cognitive behavioral therapy for insomnia (CBT-I) is the overall gold standard in drug-free treatments for insomnia. In a randomized clinical trial recently conducted on peri- and postmenopausal women experiencing at least 2 hot flashes daily, women who underwent CBT-I “had significantly greater reduction in insomnia symptoms and greater improvements in self-reported sleep quality” compared with controls. The improvements were maintained at 6 months after treatment. Soy isoflavones—phytoestrogens found mainly in legumes and beans—have been shown in randomized controlled trials to reduce menopausal symptoms, including self-reported sleep disturbance. They’re available as dietary supplements. High-intensity exercise and yoga are reported by the reviewers to be modestly beneficial in reducing menopausal symptoms and improving sleep. Because many factors can combine to disrupt sleep in the period leading up to menopause—sleep disorders, mood disorders, medical conditions, and life stressors—no one-size-fits-all treatment will improve sleep and minimize menopausal symptoms. Instead, the reviewers recommend a multi-pronged approach to treatment based on individual women’s needs.